Image Size: 6" x 9" Framed Size: 11" x 14" The location of this image is in the area of Ross Peak, a place name on the railway west of the summit and tunnel at Glacier. This eastbound train is drawn by #5468 which, at the time, was one of the CPR's newest locomotives and is now housed in the Revelstoke Railway Museum. 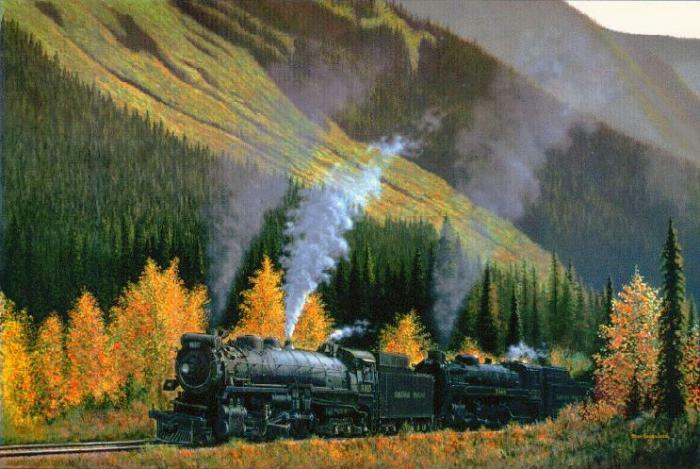 The helper engine , #5915, is one of the early Selkirks of 1930.